Mandala Facilitators have trained extensively with Dr. Judith Cornell (Rajita Sivananda) and are committed compassionate service. They are certified to lead groups and give individual consultations. Although facilitators come from various spiritual paths, they are inclusive and honor all faith traditions. Facilitators hold the sacred space for you to transform your life. Mandala retreats, individual, and one-day sessions, addictions, personal growth, self-care, and grief/loss. English/Italian. Design & facilitate mandala retreats/workshops, sand mandalas, and labyrinth meditations for groups and individuals. Specialty focuses: addiction, seniors, cancer survivors and caregivers, grief/loss, chronic illness, adults, and families. Three-day retreats and drop-in programs for those touched by cancer or chronic illness (including caregivers). Renewal retreats for nurses, CEUs for nurses. Mandala retreats and workshops for personal growth, awakening, healing and deep soul work. Community Sand Mandala offerings and individual consultations. Mandala workshops and retreats. Individual consultations focusing on personal growth and self-care; adults, seniors and women’s groups. Mandala workshops and retreats for personal/professional growth and self-care, WomenSpirit Drum Circles, individual consultations. In-person or online workshop series, Mandala Commune-ity Gardens for social justice, Mandala Dolphin Swim retreats. Mandala workshops and classes for groups, individuals, adults, teens. Mandala workshops and retreats in support of all beings to discover peace, love and true happiness, exhibits, slideshow events (concerts, meditations, talks). Japanese/English. Mandala workshops and retreats to support the awakening of souls wishing to discover. 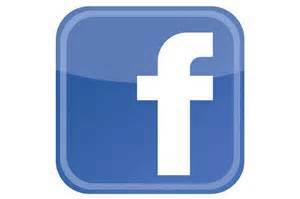 I invite you to visit my website and explore! Mandala Programs, Healing Art workshops, retreats, individual sessions for self-empowerment: cancer survivors, support groups, women’s retreats, Intuitive Painting, Sand Mandalas. Spiritual Director, Christian Life Coach, Reiki MasterMandala workshops for adults or children with a focus on teacher institutes, youth ministry, religious retreats or Reiki retreats. Individual consultations are also available. Mandala facilitator for groups, adults, and individual consultations. Mandala retreats and individual sessions to enhance personal healing and spiritual growth; group and individual sessions to support those facing cancer. Mandala retreats for religious groups; individuals seeking deeper connection with self, the Divine, others or the Universe; and those challenged by serious illness. Individual consultations are available. Mandala workshops and sand mandalas focused on connecting with nature and inner creative spirit – ages 3 and up. Art the Reiki Way! Healing mandala workshops, group sand mandalas, soul essence portrait mandalas, nature mandala altars for weddings, festivals & celebrations. Mandala retreats and classes for awakening and healing, for all ages, groups and organizations group sand mandalas, Qigong, and drumming. Group sand mandalas, retreats, children, adults, and individual consultations. Blends Qigong with mandala programs for spiritual communities, yoga centers, churches, and conscious movement groups and retreats. 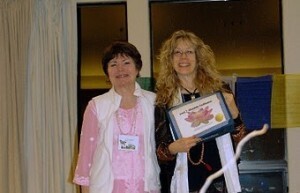 Mandala facilitator in medical settings for those challenged with illness and grief. 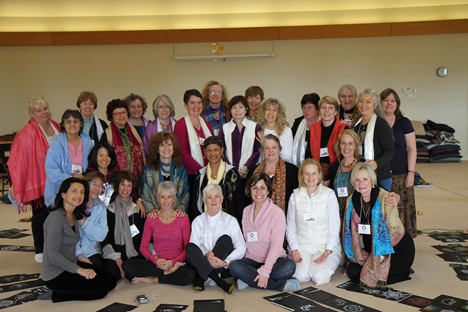 Women’s groups and mandala retreats. Mandala retreats, group sand mandalas, adults and individual consultations. English/Polish. Mandala Workshops for growth & self-care. Weekly Open Art Studio, Individual and Group Art Therapy Sessions, Art Classes. Transpersonal/Transformational Psychologist, Energy Healing & Holistic Self-Care Coach. In-person & online workshops: holistic self-care, family constellations & mandala; individual and group sessions/workshops for adults, teens, children; community/family sand mandalas. Mandala retreats, individual consultations, those challenged by cancer, other chronic illnesses, grief and bereavement. Mandala workshops with restorative yoga or pranayama. Supports spiritual growth and awareness, helping you find peace, love and light in your life. Mandala workshop, retreats for all groups, aiding personal growth/healing, spiritual growth/self care. Community/group Sand Mandala. Also Healing Touch & Reiki. Mandala retreats, classes for all ages, private sessions for individuals and couples. Mandala workshops for individual, groups, staff professional development and team building. Through colour, light and sound experience fun, relaxation and the creative process as we revisit that place of peace within. Coaching, mandala meditation sessions and workshops, life transforming strategies for personal and spiritual awakening, healing, growth and authentic success. Service provided in Spanish & English for women, men, teenagers and children, individual and group. Workshops to awaken the self-healing potential of creative consciousness through meditation, mandala drawing, painting, qigong and vocal toning. Mandala workshops and retreats in support of all beings to discover peace, love and true happiness, exhibits, slideshows events (concerts, meditations, talks). Japanese/English. Mandala Workshops for personal and spiritual development. Mandala programs: adults, children, group sand mandalas and individual consultations. Mandala facilitator working with life threatening illness; personal and spiritual development; creativity, and group sand mandalas. 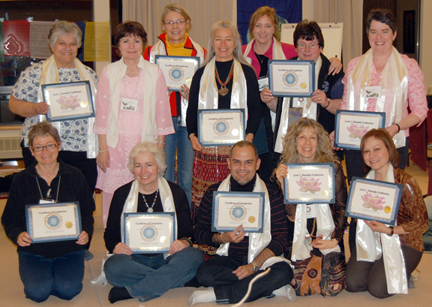 Participants and Facilitators at the 2010 Mandala Facilitation training event: (Left to right) Back row: Joan Zabelka, Luci Flynn, Mary Ellen Steveling, Maria Armstrong, Susan Melnikow, Kate Zamarchi, Nancy David, Laurie Dubois, Judith Cornell (Rajita), Barbara Lonien, Eileen Rose (Rosie), Jane Hendrickson, Sara Goldsberry, Susan Burton, Sharon Murnane, Joan Malcolm. Middle row: Kaho Koinuma, Ruth Fuller, Claudia McFarlane, Kathleen Kinasewich, Laurie Fitzgerald. Front row: Ana Greene, Laurie Bell, Caroline Garrett, Sonja Stoeckli, Martha Kiger, Rosale Skakum, Missy Kalat, Mary Trotter.